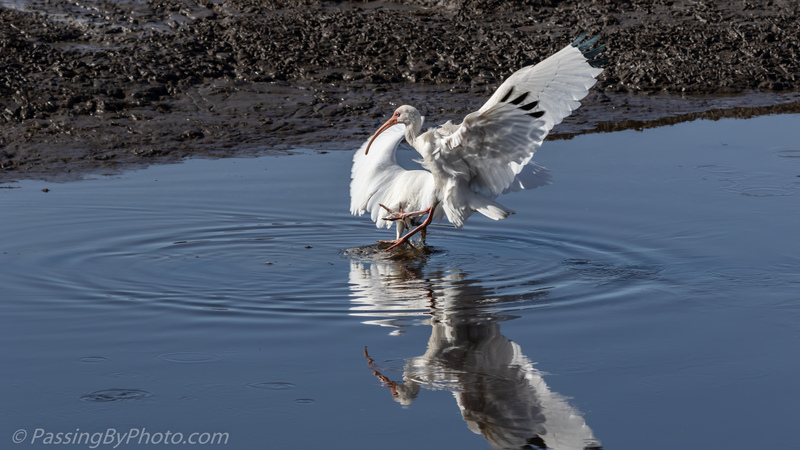 2018 has been a wonderful year of observing and photographing the wonders of nature, mostly birds in the low country of South Carolina. Thank you for following along. I appreciate all of your comments and observations. 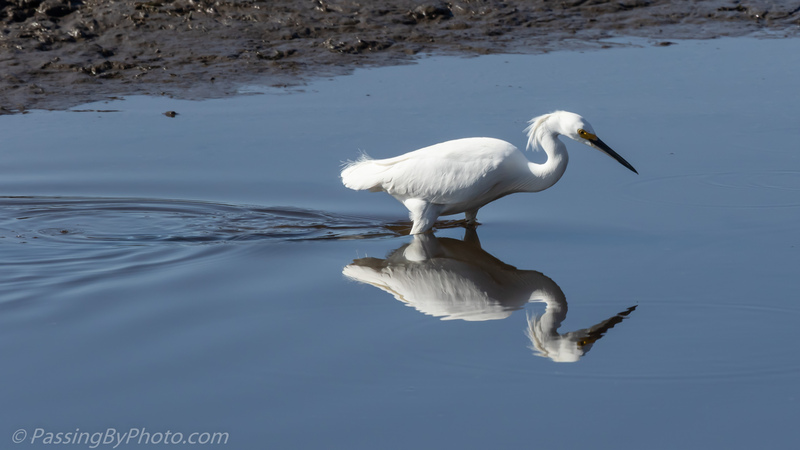 I end the year with a Snowy Egret fishing in a rice field canal, taken on one of the few sunny days we’ve had lately. 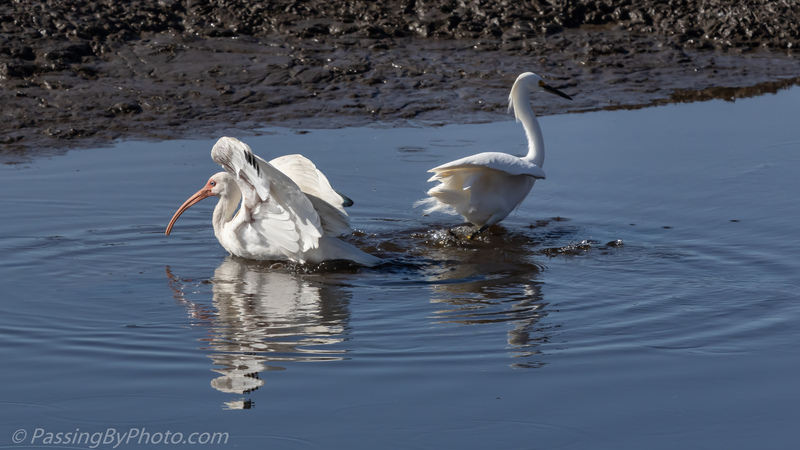 A White Ibis dropped in amazing close to the Egret considering all the unoccupied space nearby. Nonplussed, they both moved on. Best wishes for a peaceful and healthy 2019! Click on any photo for larger view. 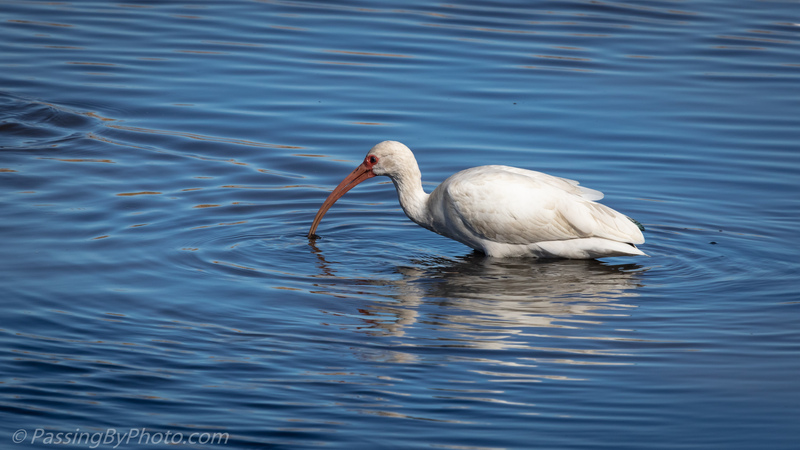 The White Ibis was wading in the canal just off the dike at the rice field impoundment. 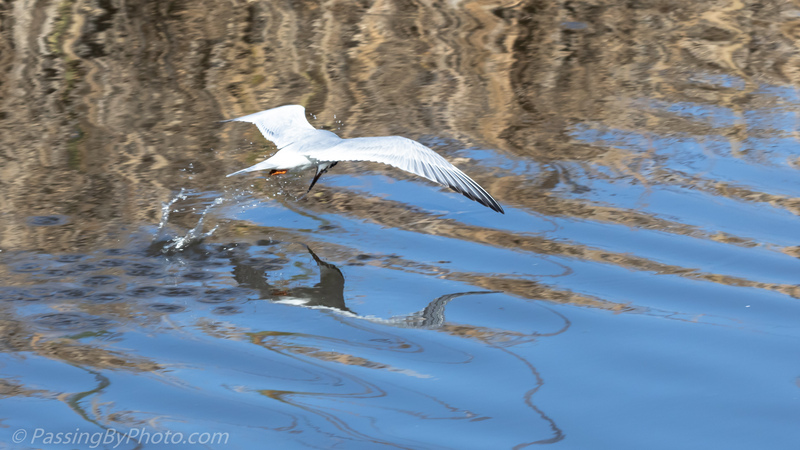 I waited patiently for him to get far enough from the bank to get a clear shot. Then an intruder! 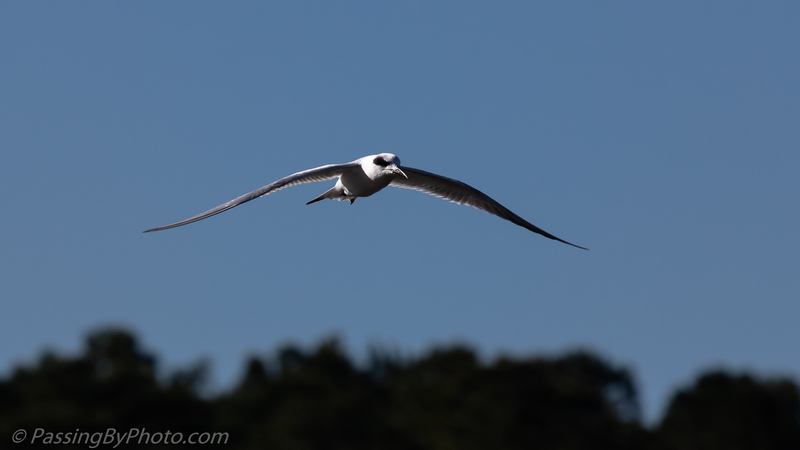 Several Ring-billed Gulls were on the opposite bank in the shallow water. I didn’t expect any to be interested in the deeper water, not thinking they would float, not wade. 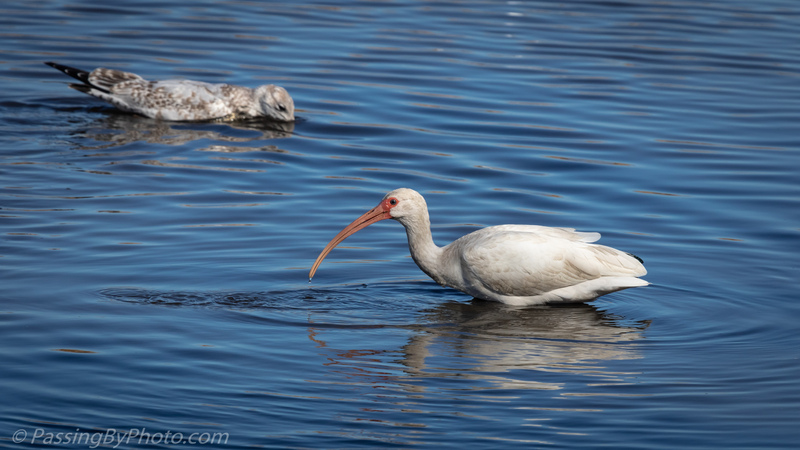 The Gull continued paddling until he was behind the White Ibis and lifted his head, turning a photobombed shot into a nice bird combo image. 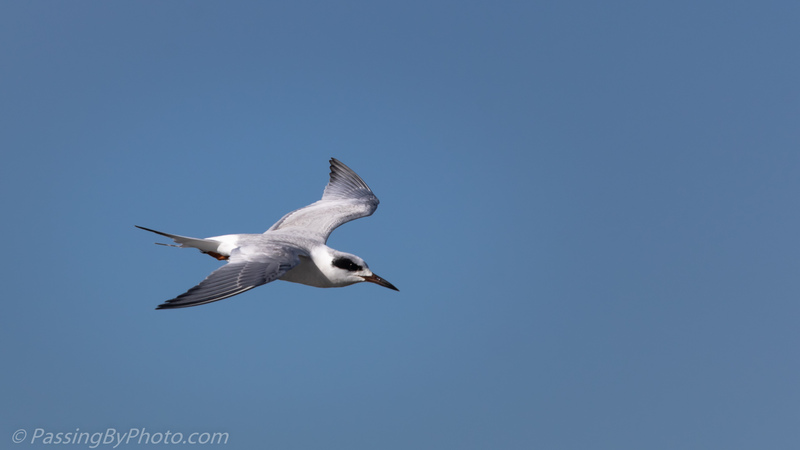 I’ve watched several Forster’s Terns the last few times I’ve been to the rice field impoundment. 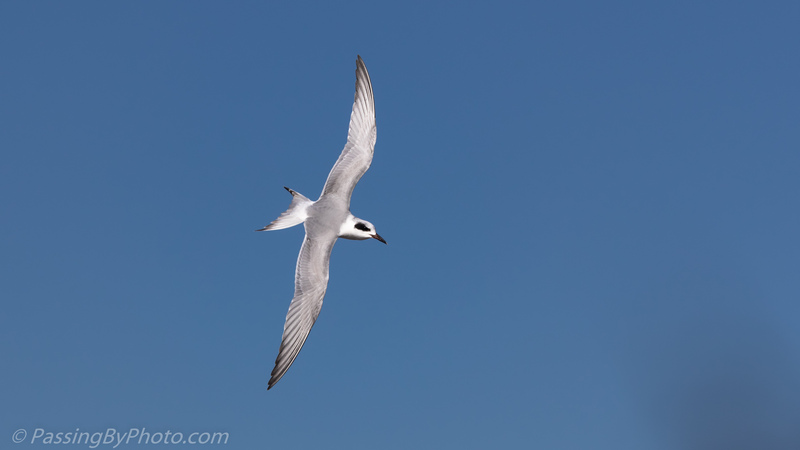 They are incredibly acrobatic in flight, twisting and turning, then swooping down to the water to go after small fish. They are quite striking birds, even in non-breeding plumage. 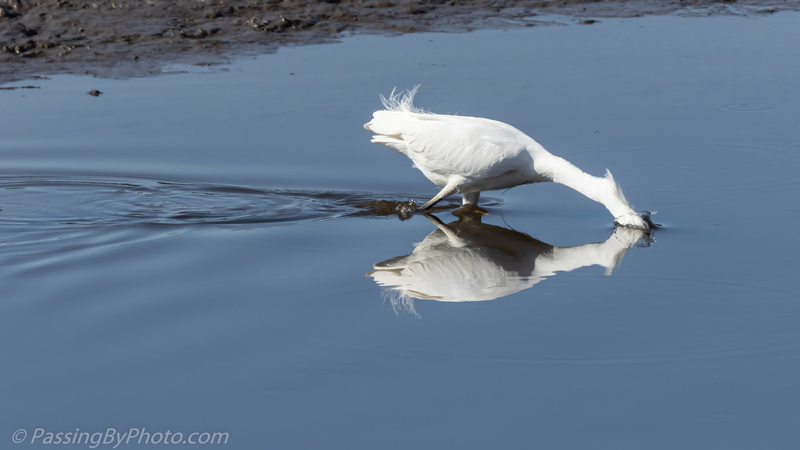 When they’ve make the turn and loop back for another run at the pond is the best opportunity to photograph them. And did I mention they are fast? This is the best I got this day for a dive. 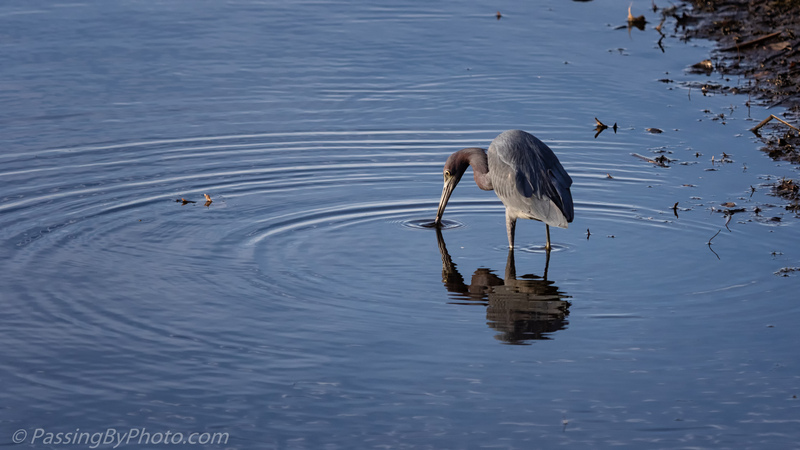 If they pick up a small fish with their feet they quickly pass it to their mouth and down the hatch it goes. 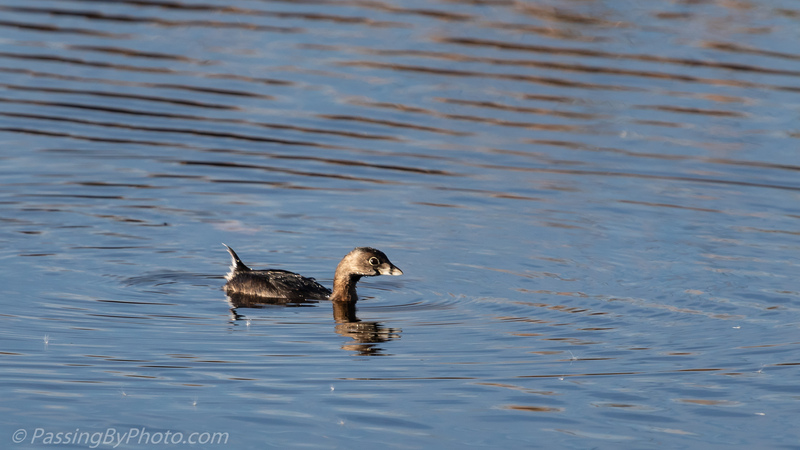 Small and chunky, the Pied-billed Grebe always looks like a baby-faced juvenile to me. Last week several of them were swimming in the rice field canal. Saltbrush seeds from shrubs that lined the bank were drifting over the water. The lowering late afternoon light and growth on the opposite bank changed the look of the water as I proceeded down the canal. 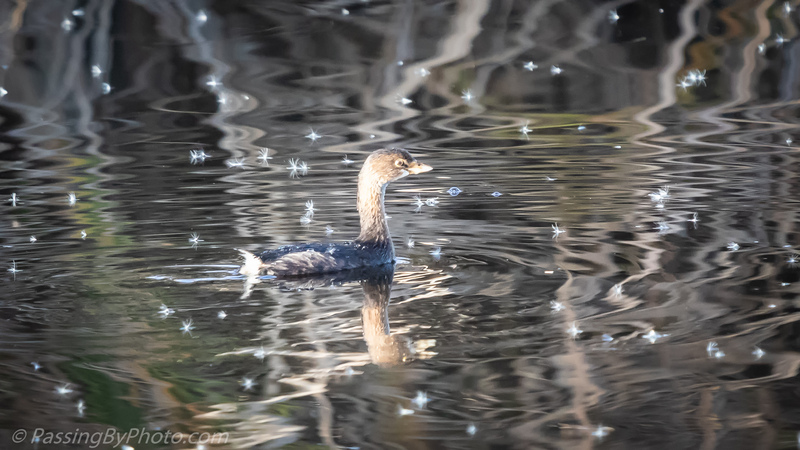 Further along the Saltbrush seeds looked like sparkly feathers floating on the water. Saltbrush, Baccharis halimifolia, is a woody shrub or small tree in the Asteraceae family, and is also known as Groundsel. 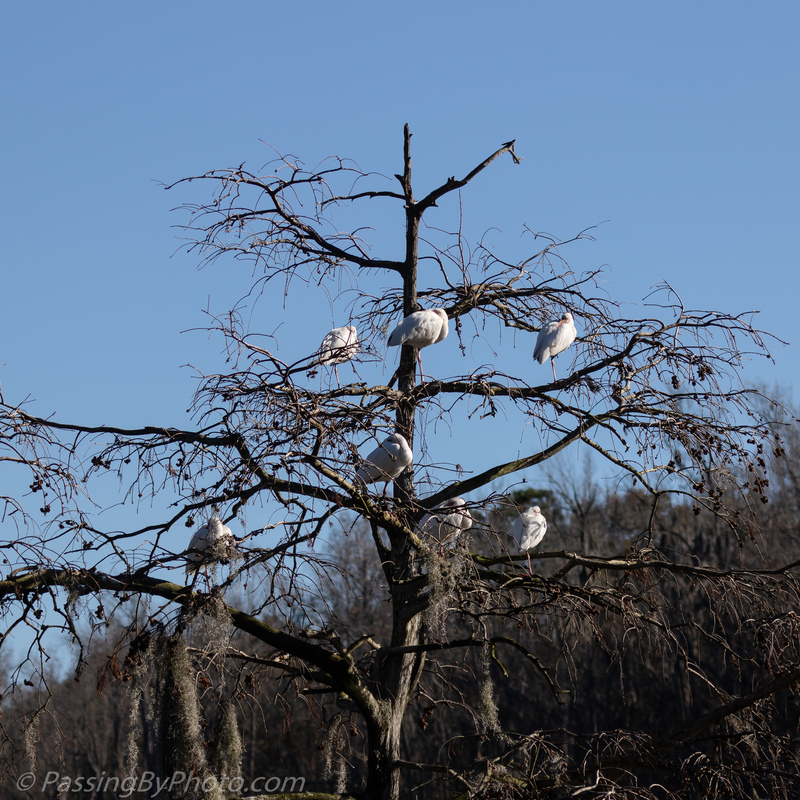 If they follow last year’s pattern this tree will soon be occupied by nesting Great Blue Heron and Great Egret couples. 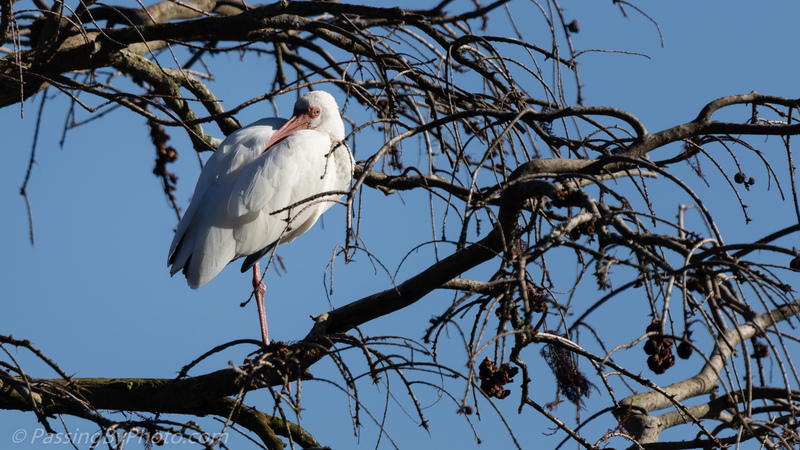 Until then White Ibis have taken over the tree for sunning. Doing the one-legged doze the Ibis stood right here for a couple of hours at least. There is not a bit of material left from last year’s nests. 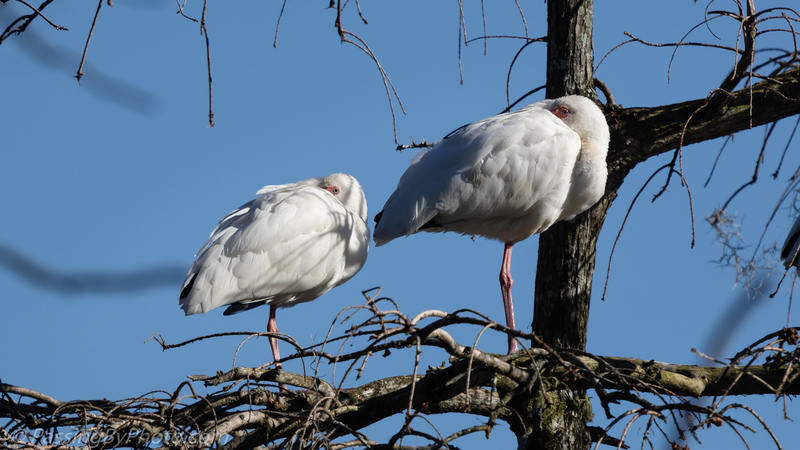 Any Great Blues or Great Egrets that stake this out to start a family will be starting nest building from zero. Taken as fall is coming to an end, 12/18/2018. 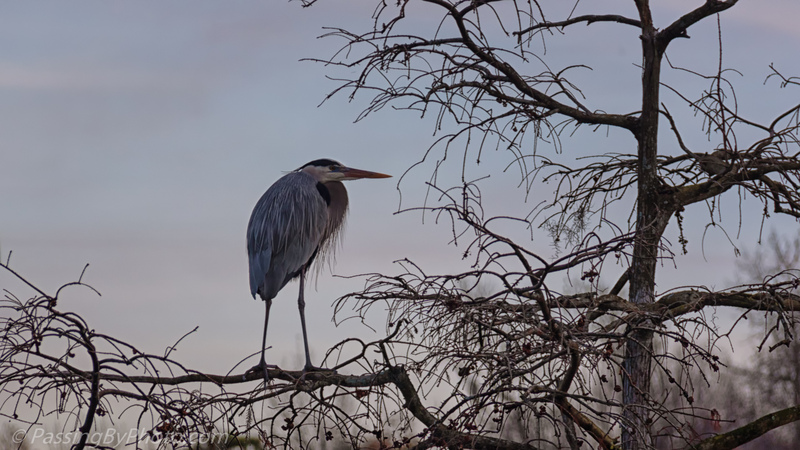 Mindful that darkness was coming I stopped to take a few images of a Great Blue Heron overlooking the swamp from his tree perch. 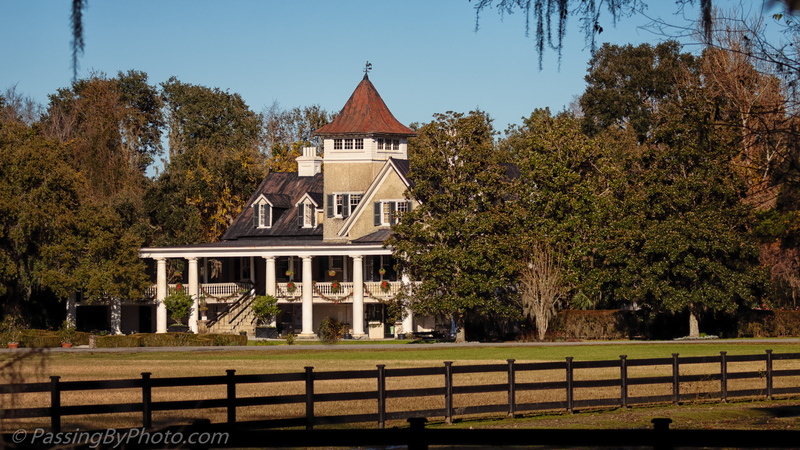 Sometimes the receding color in the sky is spectacular here; this night the color was more subtle. 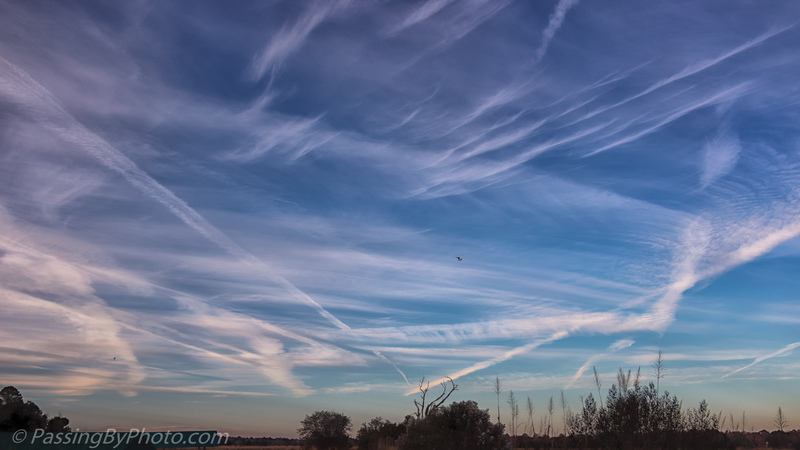 An abstract sky over the Ashley River, Charleston, SC. About 45 minutes before sunset, 12/18/2018. 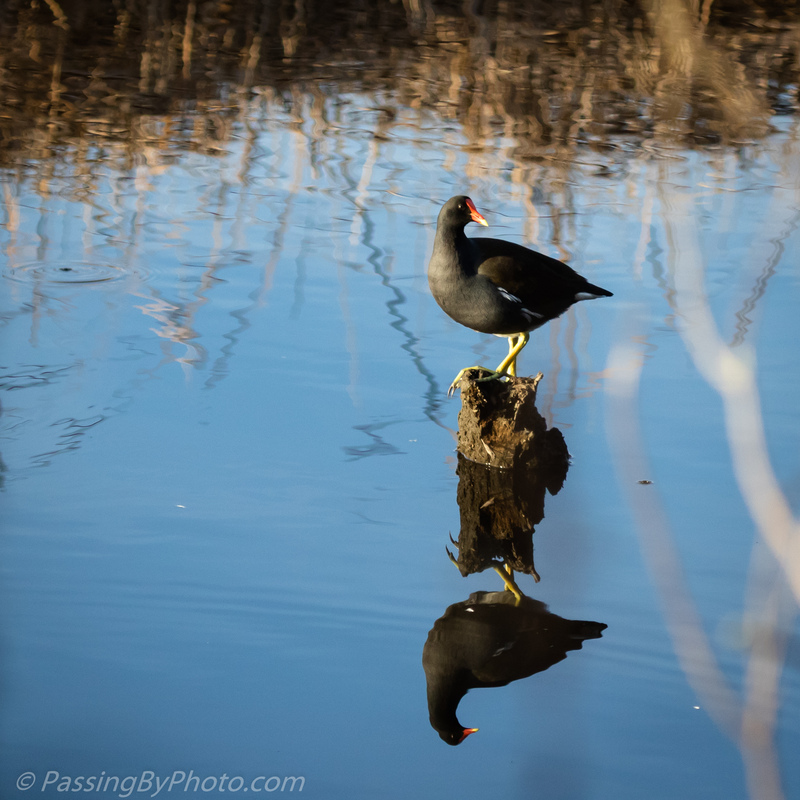 I hear Common Gallinules more often than see them. 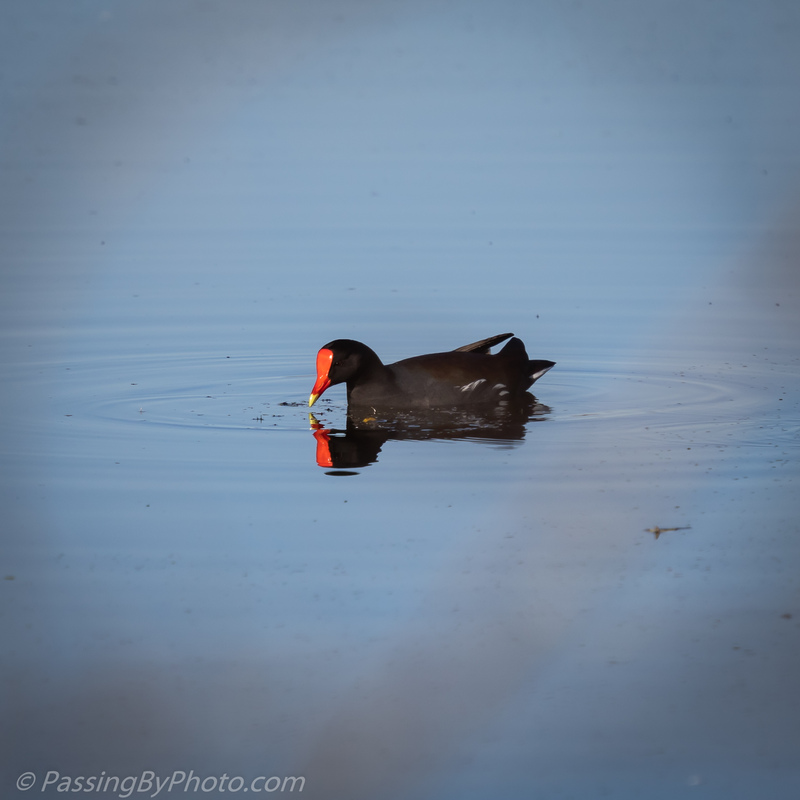 Per All About Birds they “make all sorts of chicken-like clucks, whinnies, cackles, squawks, and yelps.” Needless to say, many a birder has jumped when that racket starts, often accompanied by one or more Gallinules running across the water to safety. 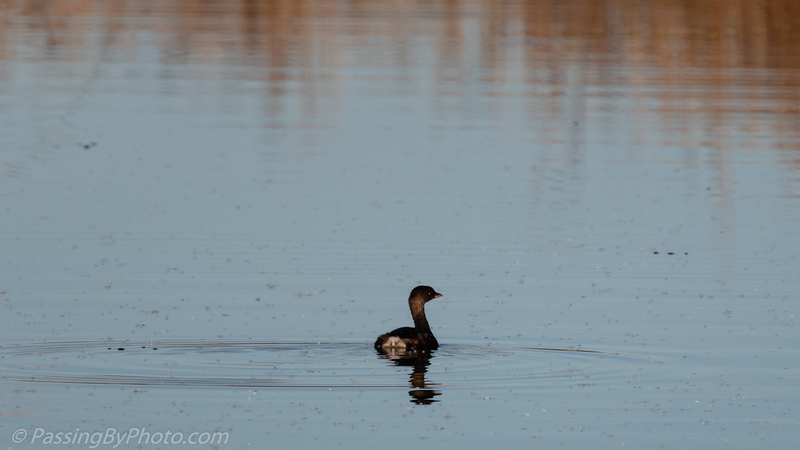 I often refer to them as the early warning system for other ducks and wildlife I might have been hoping to see. These images were taken on different days, but in the same area. The stump in the image above is newly sticking out of the water as the rice field pond has been drained for repairs. 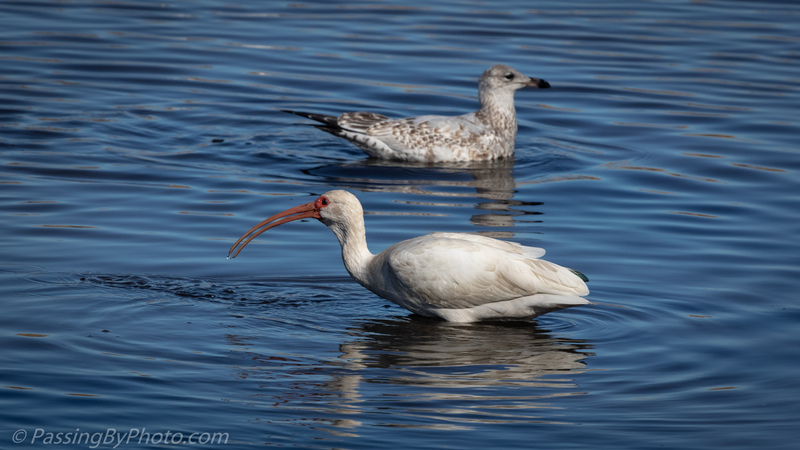 The red bill in the image below looks almost like fake plastic, but that is how they look. Bald Eagles will stalk Gallinules in this pond and I wonder how that beacon of red appears to them.